What kind of place is BankART Studio NYK? 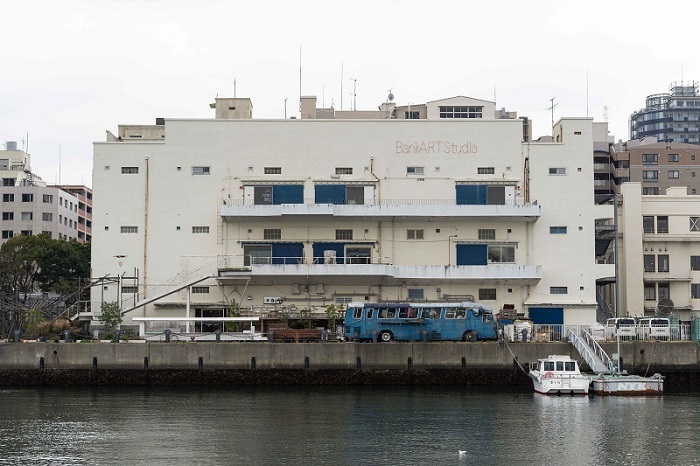 BankART Studio NYK is an art center facing the canal of Yokohama Port. Various exhibitions and various lectures of artists who are active both domestically and abroad are held at its hall and gallery. 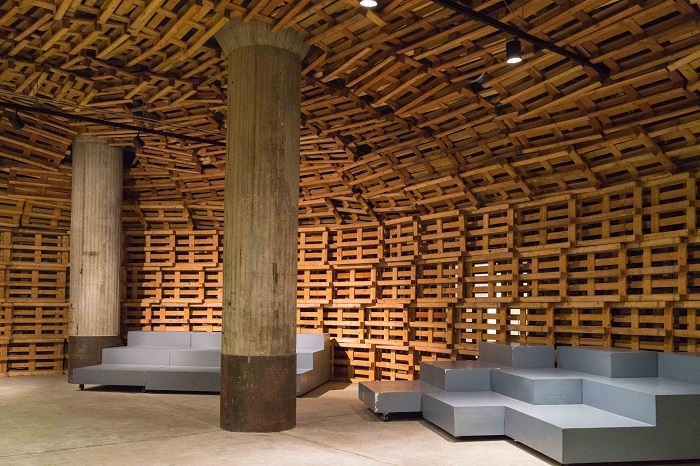 It is a facility that is made from a restored warehouse built in 1953. In the facility exposed-concrete pillars make the air tense. There are also “Cafe & Pub” and “Shops” dealing in books and goods on the 1st floor, so everyone can drop in freely. Its being in hiding is part of the attraction because it doesn’t face the main street and it’s surprisingly not known to people. Though to most people the impression of Yokohama includes features like Minatomirai, it being a port city, there once were many warehouses around this site. It is an advanced spot from such historical background. Personally, I resist from referring many people to this place so that I keep using it secretly. However, I am specially introducing this place to you. 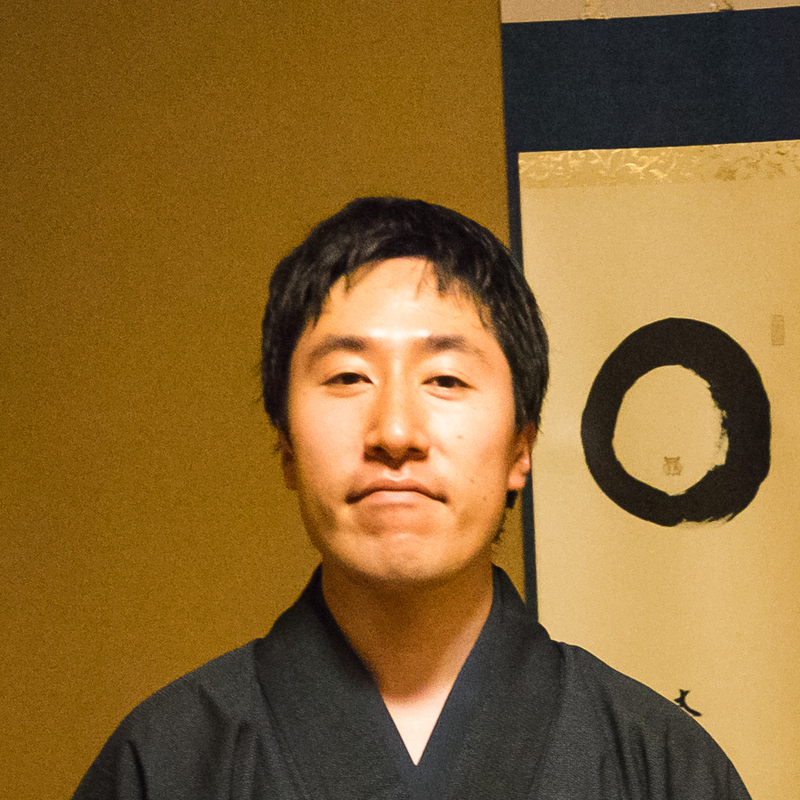 On an alley off Kaigandori Street, the closest street to the sea side of Kannai district. The street is faced by NYK Maritime Museum and the Yokohama Customs buildings. The alley to the hiding place is between Yokohama Building and Kanagawa Prefectural Police, and in the front of “Kaigandori 2 chome” traffic signal. It may be difficult to find it but this is part of the fun. There are stylish tables and chairs in a calm atmosphere of the renovated warehouse and art products such as tablecloths and photos that add an accent to the space. 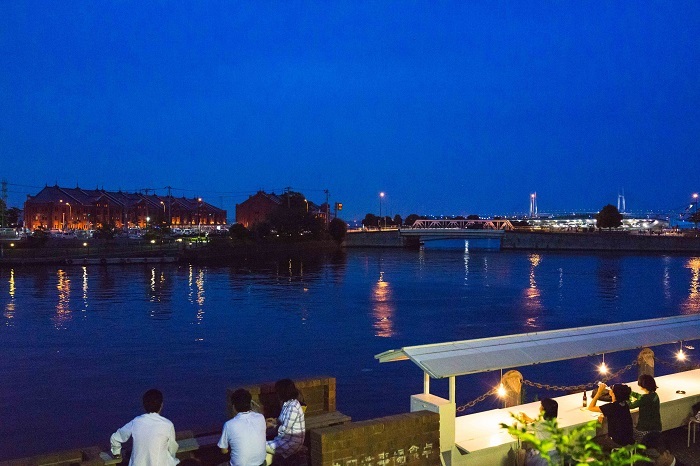 Views from tables on the terrace somehow have a profound atmosphere though they are familiar objects such as the Yokohama Red Brick Warehouse and the Yokohama Bay Bridge. The canal spreads out before your eyes when seated in some spots and below your eyes while seated in other spots. At night the bus stopping in a corner becomes… Please see what it becomes with your own eyes. In addition, it is also its own attraction. As such, its business hours have been extended (from 11 AM to 11 PM) so as you can use it in various ways such as for lunch, as a café and pub. 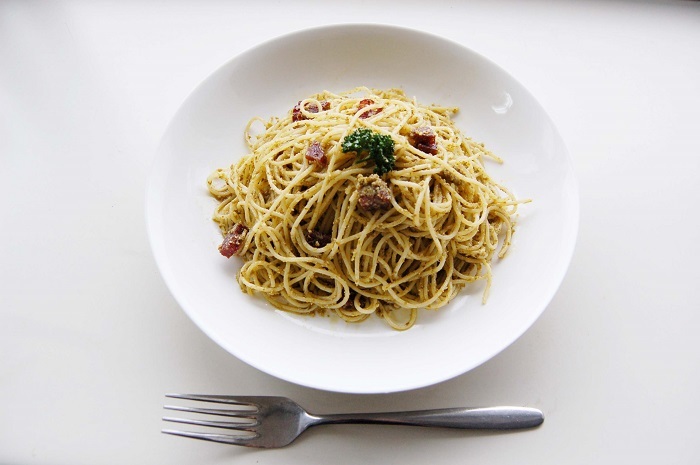 As for the prices, coffee is 200 yen, beer is 450 yen and Pasta costs 500 yen. The prices are so reasonable. There are also a strip of valued tickets. Shop has books, photo books and DVD of artists related to BankART. 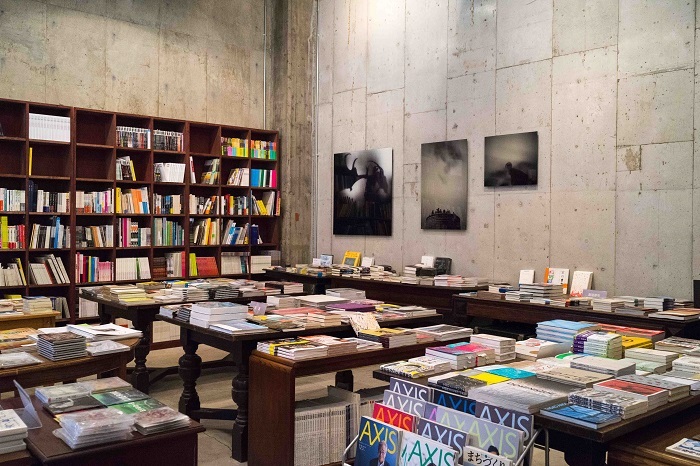 Among them are books you can get only in this place; for example books artists publish, meet the publishing expenses on their own and bring them to the Shop. 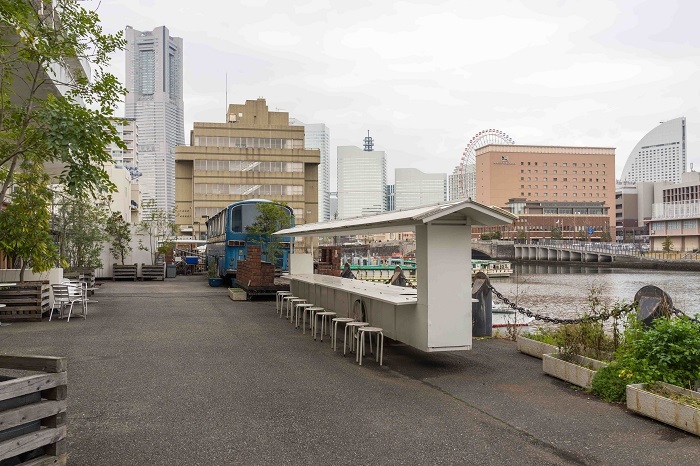 Though you might find uneasy at the first place, there are also many other books anyone can enjoy such as those about Yokohama’s architecture and urban development. 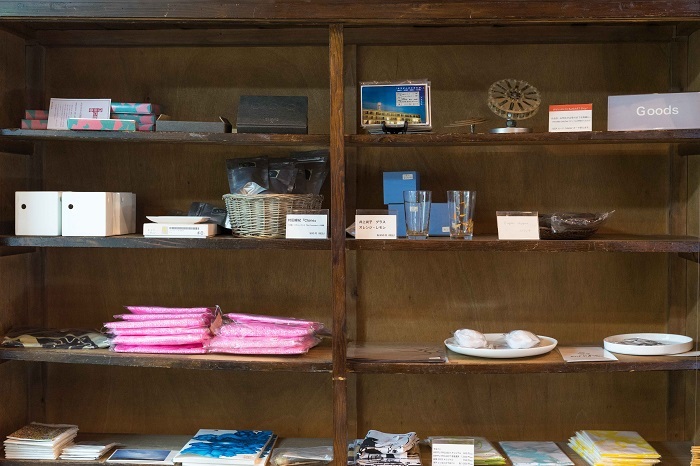 In addition, you can buy crafts made by artists. These are products you can use in daily life such as glasses and towels. The place for these is adjacent to Cafe & Pub, so please feel free to visit it. 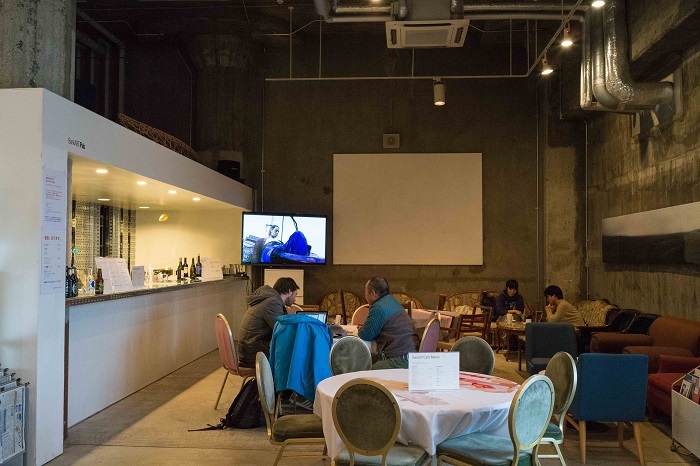 Kawamata Hall is on the 1st floor as well as Cafe & Pub and Shop. 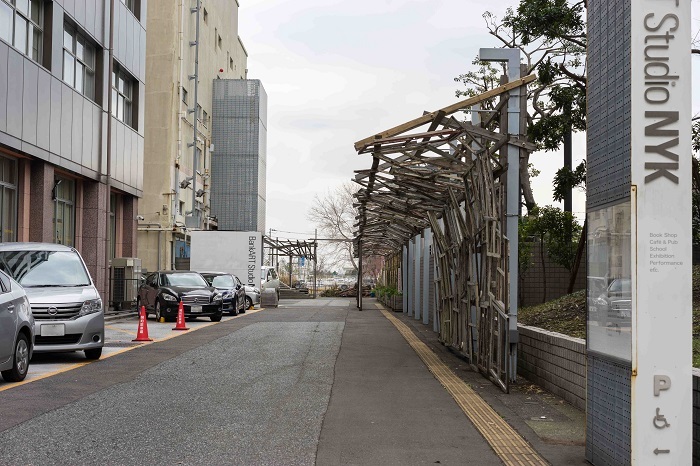 It is the space where the works of Tadashi KAWAMATA, an artist that is active both domestically and abroad, are displayed and events are held. At first sight you may think it is stylish but when you stand there, you might experience the weird sensation of feeling like you’re being swallowed into something. You can observe it freely if there is no event being held, so I recommend you experience it. If you are lucky, you can attend an exhibition held on the 2nd floor or 3rd floor. It is an attraction that you can visit at your own time because usually many exhibitions are held with free entry. Furthermore a project called “BankARTArtist in Residence” is run from April to June every year where about 35 sets of artists and teams create products in this place. Anyone can attend it so long as they sign their name at the reception desk. It is a precious chance to know how artists make art and crafts. Wouldn’t you like it? How about spending your special time at BankART Studio NYK? Even people who are not interested in arts can adequately enjoy it. As for those that will have become interested in arts because of this place, there are still various other art forms prepared. Through classes sponsored by BankART and the program called “Artist in Residence”, you could be invited into the world of arts. In class you can converse and share experiences with teachers and other students every time. At last I would like to introduce a nice shop known only to a few. 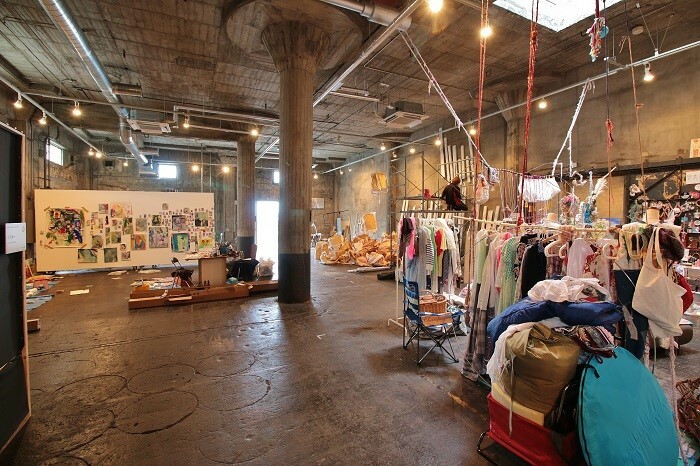 “MAKOON YOKOHAMA” which is located on the 1st basement in Yokohama Building and was opened at the end of last year. 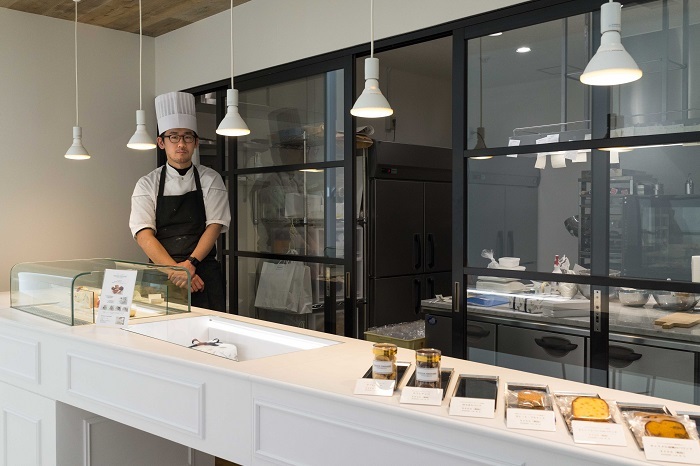 It is a cake shop that has drawn the locals’ attention already. It is a nice place to buy a present for your family or colleagues.